Yes, you can make bagels using your bread machine but the process is a bit complicated. Your bread machine will essentially mix the dough using the dough cycle, but then you need to boil and bake the bagels to finish them,. That’s right, I said boil and bake. 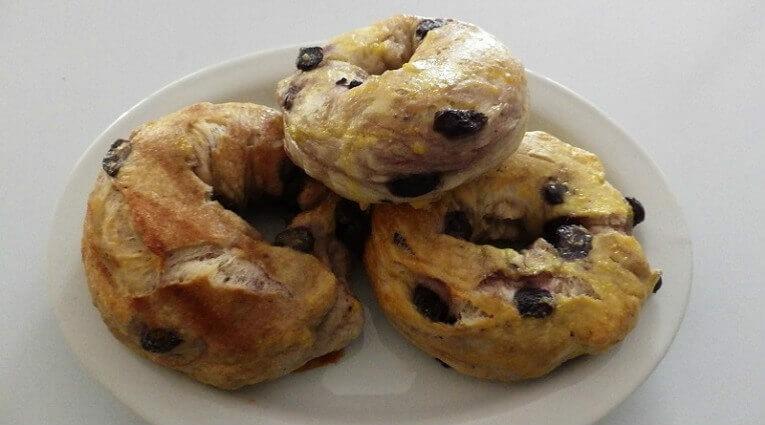 Boiling the dough is what gives bagels their chewy consistency and baking gives them the finishing touch will a bit of egg glaze to get them to a golden brown. This bagel recipe adds blueberries to give them a sweetness and nice finish. 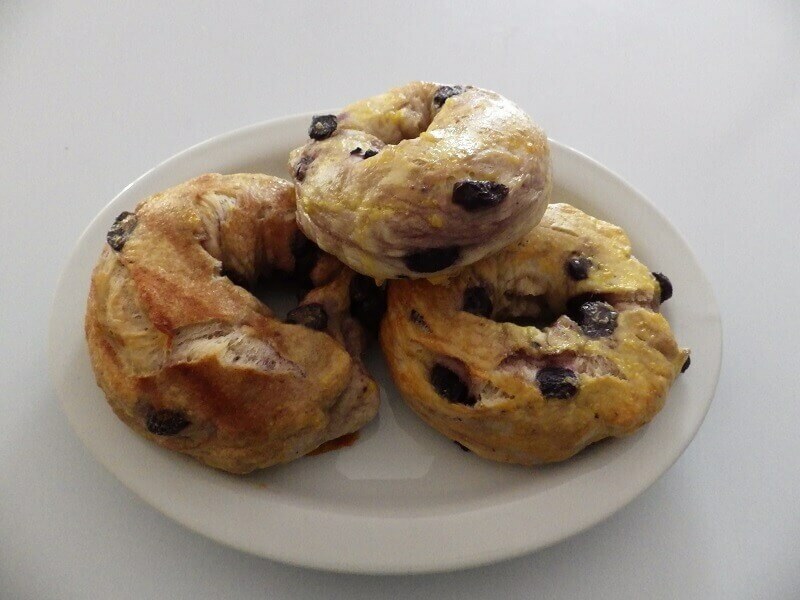 You could also substitute any other kind of berry but stay true to the measures indicated in the recipe. Add the ingredients to the bread pan in the order indicated and select the dough cycle. 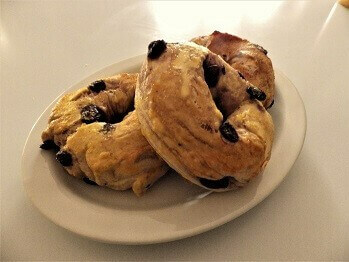 Keep an eye on the dough as it’s kneading because the blueberries will add some liquid. If the dough looks too wet or resembles a batter add a tablespoon of flour at a time to thicken the dough. If the dough is too dry, add a tablespoon of water at a time until it has the proper dough consistency. 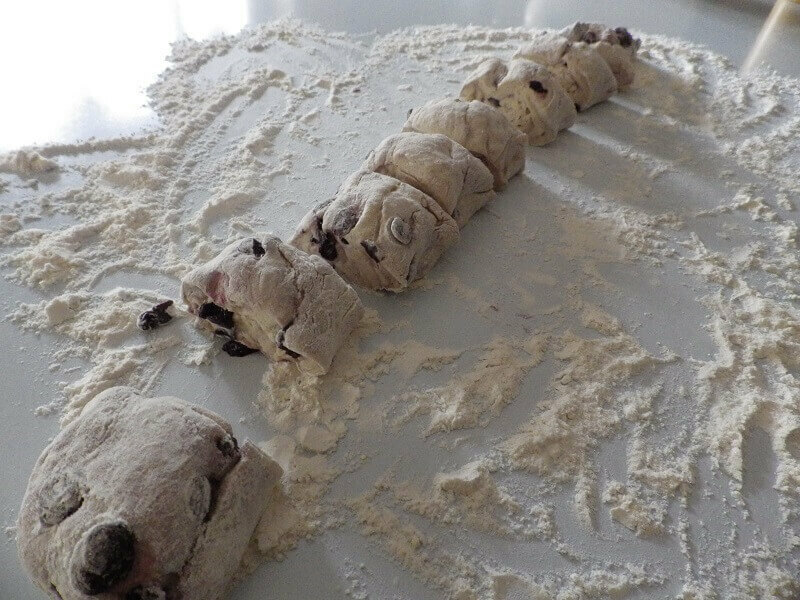 When the dough cycle is complete transfer the dough to a lightly floured surface and divide the dough into 8 equal pieces. 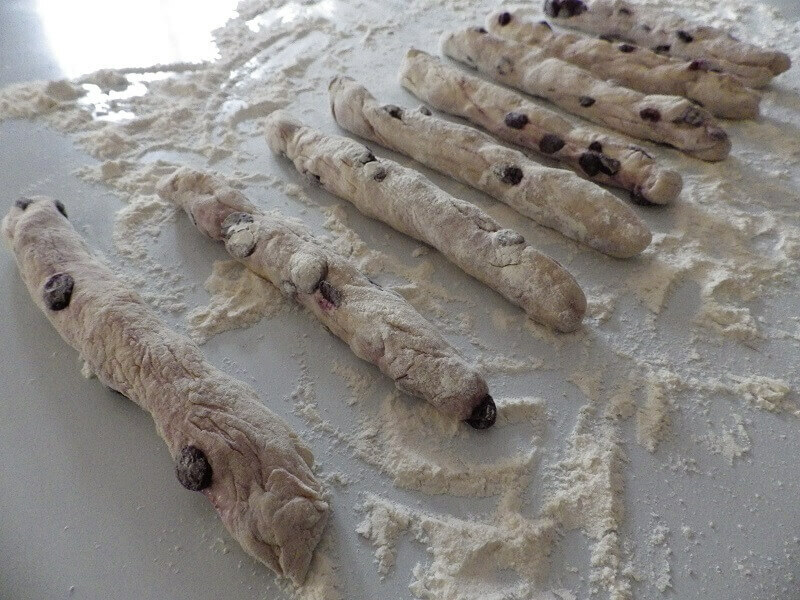 Roll each piece of dough into a sausage shape and then form into a ring. Press the joined ends together and roll lightly to remove the seam a bit. 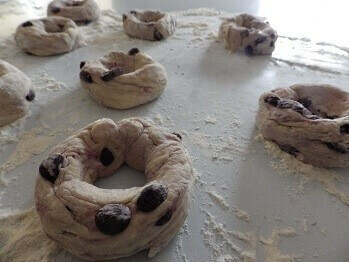 Repeat with the remaining pieces of dough until you have 8 circles. Mix the cinnamon and sugar in a bowl until blended and sprinkle evenly on a plate. You’ll touch the tops of the bagels to the cinnamon sugar after boiling. 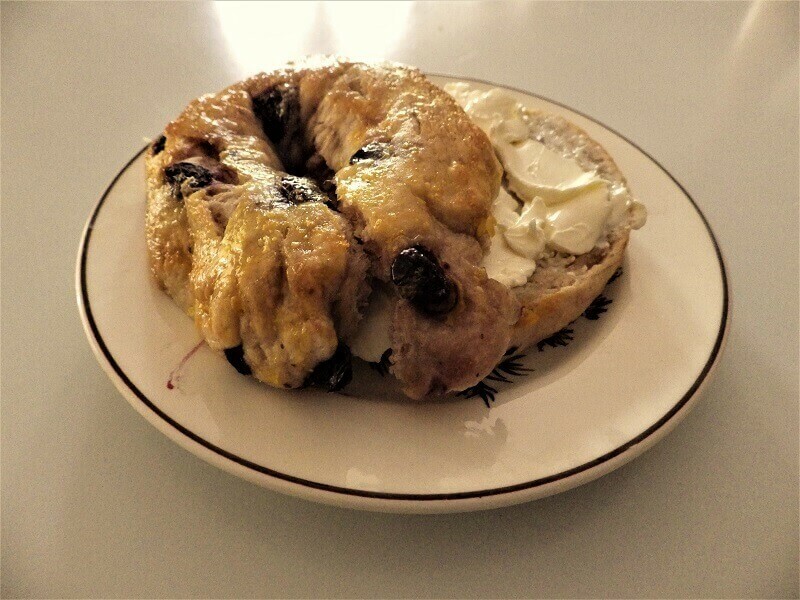 Let the bagel rest for 15 to 30 minutes. Line a baking sheet with parchment paper or lightly oil it. Bring 4 quarts of water to a boil and preheat the oven to 450°F./230°C. If you want you can a 1/4 cup of honey to the boiling water. This will give the bagels a more chewy texture. You can also omit the honey. 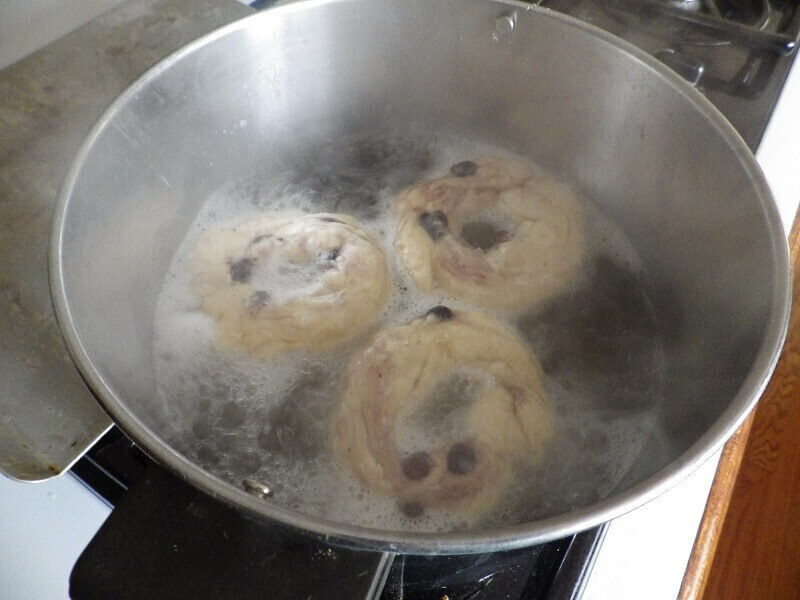 Boil the bagels, three at a time until they rise to the surface of the water pot. Turn them with a slotted spoon. You should boil them for about 1 minute a side. Remove them carefully and flop them one at a time onto the cinnamon sugar mix. 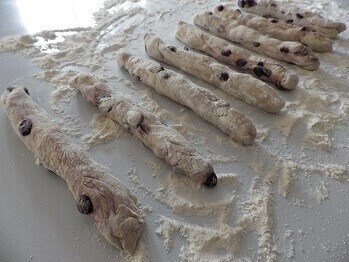 Do this with each one and transfer to the baking sheet once they are dusted. Bake for 15 to 20 minutes or until browned. I made these. They are scrumptious! It was very difficult to dip them in the sugar mixture after boiling. But that made them so much tastier! They didn’t even last a day! Love your site, and have 2 machines now, so I will try lots of them. Thanks so much. Your site is great.